North Shore Restaurant Month is back and better than ever! This February*, some of the North Shore’s best restaurants will be offering can’t-miss dining deals and prix fixe menus perfect for those days and nights when you want to celebrate, hang out with friends and family, or simply don’t want to cook. All you have to do is show your server northshorediningdeals.com on your phone and you’ll be dining in no time. Read on to find some of this year’s best deals, and find a complete list of participating restaurants here. *North Shore Restaurant Month offers are not valid on Valentine’s Day and additional restrictions may apply. If you're craving Italian, you're in luck — Saranello's is offering a three-course prix fixe meal for $29.95 during North Shore Restaurant Month. To start, choose the Margherita Pizzette, Winter Caprese, or Minestrone Soup before moving on to Braised Beef Ravioli, Pistachio-Crusted Whitefish, Roasted Berkshire Pork Chop, or Wild Mushroom Risotto. 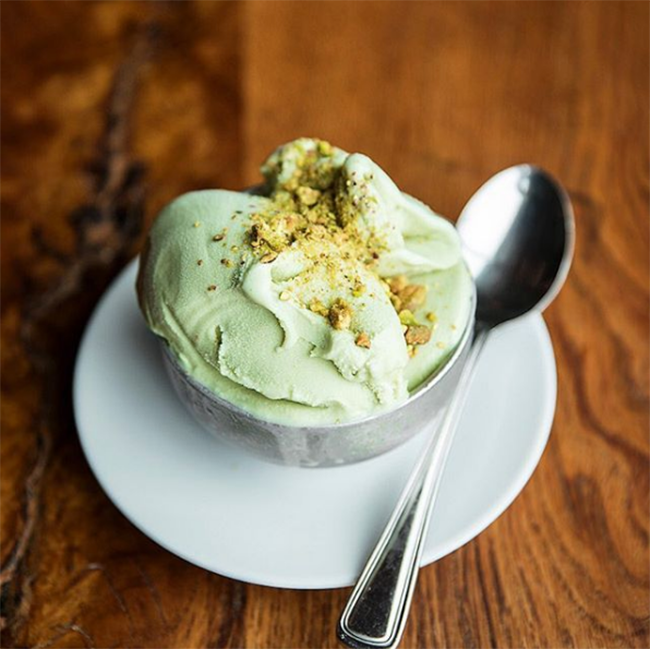 End the meal with Pistachio Gelato, Chocolate Mascarpone Pie, or Banana Tiramisu. 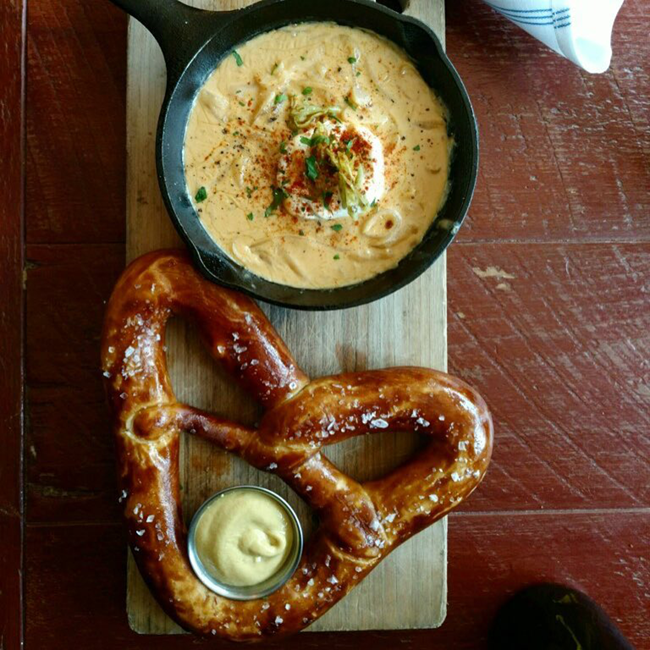 For those planning the perfect date night, Mesa Urbana is offering a free appetizer with the purchase of two entrees. 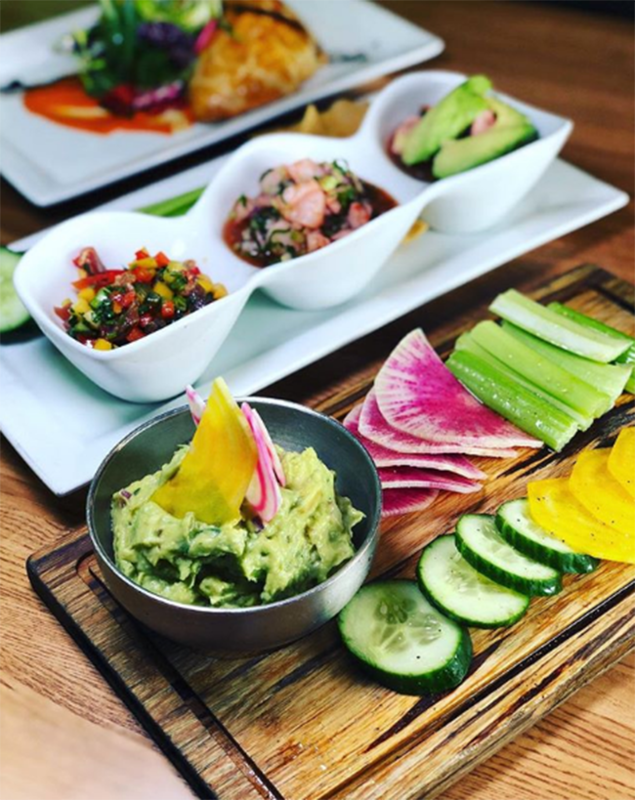 So, before you enjoy the Pescado Taco, Teriyaki Chicken Lettuce Wrap Taco, Rock Shrimp Risotto, or Salmon Al Carbon, order a tasty appetizer like Guacamole; Empanada with roasted butternut squash, shallots, spinach, and romanesco spread; Queso Fundido with pan-seared shrimp, muenster cheese, tomato, poblano peppers, and avocado; or the Ceviche Trio featuring octopus, shrimp, and Hawaiian ahi tuna. 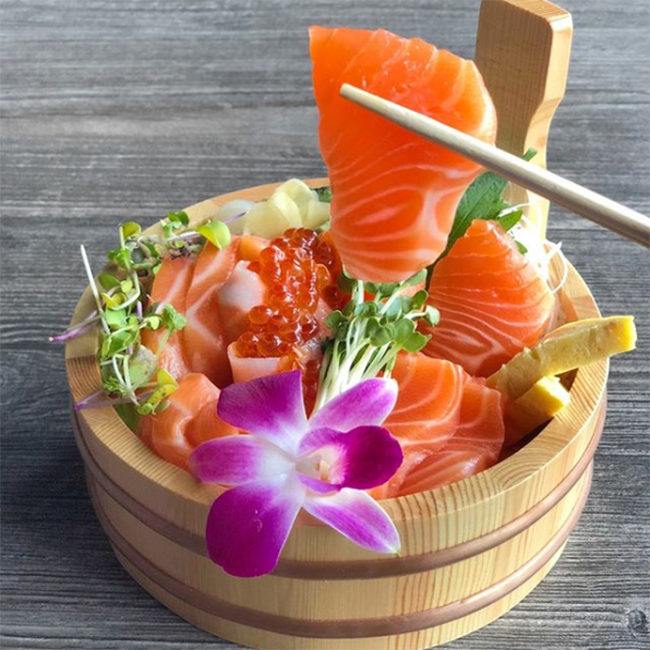 This sushi and izakaya restaurant is serving up fresh and one-of-a-kind seafood dishes. Try new signature maki like Blackhawks (cucumber, avocado, and soft-shell crab topped with seared spicy tuna, red tobiko, and eel sauce), Hokkaido (avocado, green tobiko, shrimp, cream cheese, asparagus, spicy tuna, creamy wasabi sauce, eel sauce, and crunch outside), and B.T.S. (steak, avocado, spring mix, eel sauce, ginger dressing, and rayu chili oil) paired with Kimchi Fries, Brisket and Beansprout Bokum, Bulgogi Fries, or Spicy Rice Cake. 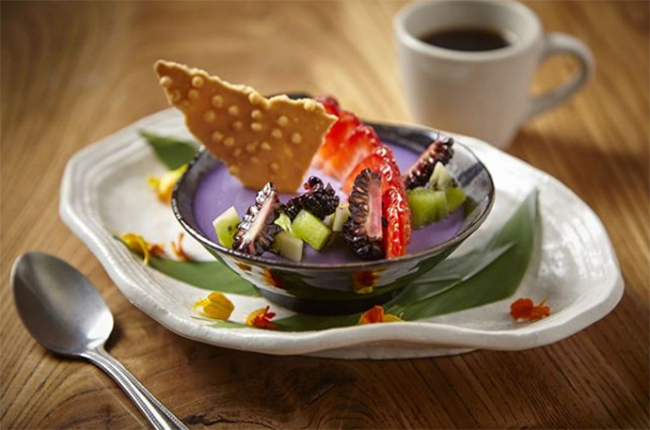 With Mozu offering 15 percent off your check during North Shore Restaurant Month, it’s the perfect time to try it all. This restaurant was once a service station, but you'll now find elevated classics like bacon-wrapped meatloaf with a barbecue demi-glace, green beans, garlic mashed potatoes, and red bell pepper; fried chicken with a honey drizzle, chorizo gravy, and garlic mashed potatoes; or baby back ribs with housemade barbecue, fries, and slaw. 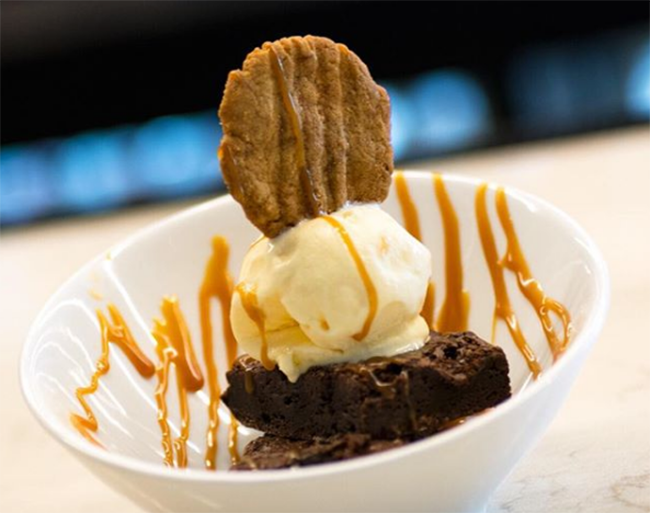 During North Shore Restaurant Month, Fred's Garage will be offering free dessert with an entree purchase, so try the Chocolate Brownie, Apple Crisp, Carrot Cake, or Orange Soda Float. It's all about steak, seafood, and sushi at this Skokie restaurant, which will be serving a three-course prix fixe menu for $45. Start with your choice of Escolar Tataki with white asparagus and yuzu shallot dressing, Hamachi Serrano Maki, or Shrimp Tempura with sweet chili aioli. For your entree, try the Prime Rib Eye with wafu dressing, Yuzu Miso Marinated Black Cod, or Glazed Pork Ribs with cashews and spring onions, all served with crispy Brussels sprouts with Japanese mustard vinaigrette and bonito flakes. End the meal with Warm Chocolate Cake with candied peanuts and toasted sesame banana ice cream or Ube Pot Crème with vanilla tuille and fresh seasonal berries. This gorgeous Glencoe restaurant (which serves equally as gorgeous fare) will be offering a free dessert with an entree purchase. Stop in for Faroe Island Salmon served with lima bean ragout, tarragon, and red olive tapenade; Braised Short Rib with root vegetables, pearl onion, and parsnip puree; Steak Frites with caramelized onion, arugula, and sun-dried tomato butter; or the Guildhall Burger topped with brie, red cabbage, bread and butter pickles, and cranberry mustard aioli. Then finish the night with Chocolate Cremeaux or that day's selection of fresh-baked cookies or seasonal, housemade ice cream or sorbet. This restaurant is all about seasonal, local food, which you can taste during a three-course prix fixe meal at brunch ($25), lunch ($25), and dinner ($33). 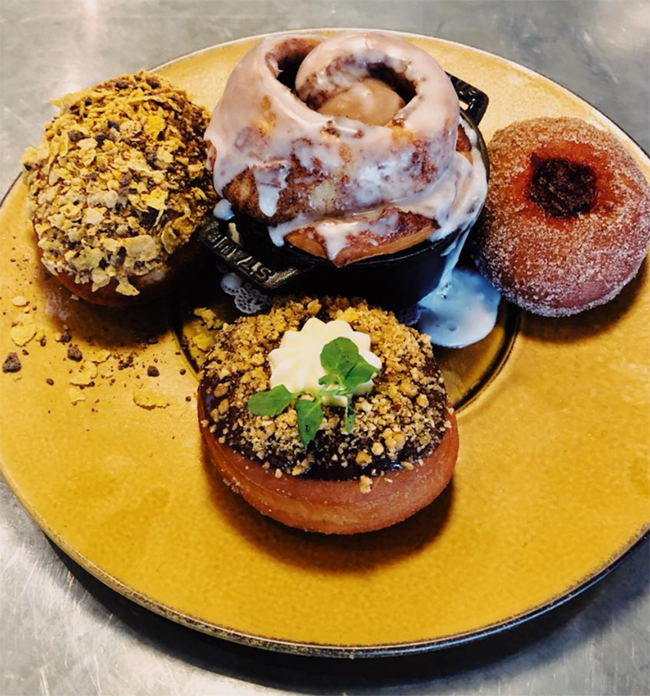 All three menus feature the Beer Battered Wisconsin Cheese Curds or Midwestern Winter Salad for the first course and the Spiced Apple Cider Doughnuts or Seasonal Sorbet for dessert. At brunch, you can choose the Farmer's Breakfast, Swingbelly Farm Eggs Benedict, or the Open Faced Breakfast Sandwich for your second course, or opt for the Pasture Raised Classic Burger, Grilled Wisconsin Three-Cheese Sandwich and Malted Tomato Soup, or Winter Vegetarian Pasta at lunch. During dinner, you can pick the Crystal Valley Farms Chicken, Strauss Farms Braised Short Rib, or Winter Pasta. This entry was posted in Dining, and tagged Chicago North Shore Restaurant Month, Chicago North Shore Restaurants, Chicago North Shore, Chicago's North Shore, Dining Deals North Shore, Dining On Chicago's North Shore, Downtown Evanston, Evanston Restaurants, Evanston, Glencoe, Glenview, North Shore Chicago, North Shore Dining, North Shore Restaurant Month, North Shore Restaurants, North Shore, Northbrook, Restaurant Month, Restaurants On Chicago's North Shore, Restaurants, Skokie, Westfield Old Orchard, Wheeling, Winnetka, on January 25, 2019.